Gerard Anthony Robinson, Sr. was born in New Orleans, Louisiana, to Reverend and Mrs. Arelious Robinson, where he attended Live Oak Grammar School of New Orleans, Louisiana. He later moved to Liberty, Mississippi where he graduated from Liberty High School. He attended Jackson State University and Jackson Theological Seminary in Jackson, Mississippi. Pastor Robinson was elected as the sixth pastor of the McKowen Missionary Baptist Church in Baton Rouge, Louisiana, on July 24, 1990. Under his dynamic preaching, teaching, and pastoral leadership the church continues to gain prominence as a Body of Christ in every phase of work. He has a natural talent for singing, and is a great orator. His first live recording entitled “A Picnic with The Master” was recorded on the Mars Recording Label. Pastor Robinson loves the outdoors. He enjoys hunting and has a passion for fishing. He also enjoys sports. Pastor Robinson currently serves as Producer of IN TIME MINISTRYTelevision Broadcast on Baton Rouge cable channel The CW21 WBRL-CA. 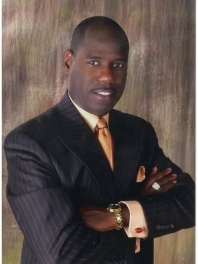 He also serves as First Vice President of the East Baton Rouge Parish Ministers’ Conference. He has served as state secretary for the Louisiana Chapter of the Rainbow Coalition and worked with the Plan Baton Rouge Development Corporation. He is a member of the National Baptist Convention, USA, Inc., Louisiana Baptist State Convention (Public Relations Director of Evangelical Board), and South Baton Rouge Ministers Conference. Pastor Robinson has also served on the Mayor-President’s HIV and AIDS Task Force. As of December 2013, under the leadership of Pastor Robinson, 1057 persons have joined the McKowen Missionary Baptist Church – 371 by baptism and 686 by Christian Experience.